Jefferson: The Great Satan of American history? Tocqueville may not have been very likable, but his theory about the Puritans planting the seeds of democracy was not incorrect. One could take issue with certain details. Despite his theory about democracy gently unfolding in the New World, the Revolutionary War turns out to have been a good deal more violent, more intolerant, more French in a sense, than he realized. An entire political party, the Tories, was banned and, as the historian R.R. Palmer pointed out in his magisterial study, The Age of the Democratic Revolution, five times as many people were sent into exile as in France relative to the population while at least as much émigré property was confiscated. Moreover, if Tocqueville hadn’t died of tuberculosis in 1859, he would have realized that 1776 was actually a warm-up, comparable to the moderate, Girondin phase of the French Revolution, while the Civil War marked the start of a second and more extreme stage comparable to the Jacobin takeover in June 1793. True, no guillotines appeared on Capitol Hill in 1861-65. But the war would claim the life of one American in forty and would lead to the wholesale expropriation of the Southern plantocracy. It would see a forced march toward political and economic centralization, industrialism, nationalism, and mass education (Congress established the land-grant college system in 1862), all causes as dear to the Jacobin heart as they now were to the radical Republicans The war would even see something of a Jacobin-style political dictatorship. Habeas corpus was suspended as a rump Congress from which Southern Democrats had been expelled prosecuted the war in an increasingly radical manner. American development was more revolutionary and less exceptional than Tocqueville or his modern admirers understood. So Tocqueville clearly got a good deal wrong. But he got one thing right concerning the nostalgic quality of American politics. Because the American colonies had been self-governing, most classically in Puritan New England, overthrowing the ancien régime was the last thing the revolutionaries of 1775-76 wanted to do. To the contrary, it was the British who wanted to overthrow it, while the so-called revolutionaries wanted nothing more than to put it back on the throne. 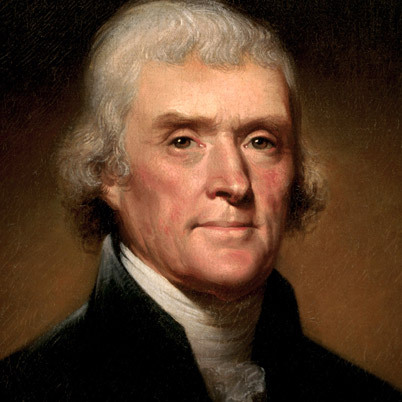 Once Jefferson had ladled out a dollop of fashionable rationalist rhetoric about life, liberty, and the pursuit of happiness in the Declaration of Independence, he devoted the bulk of the document to all the terrible new things the British had done – interfering with traditional colonial legislatures, usurping ancient liberties, and “taking away our charters, abolishing our most valuable laws, and altering fundamentally the forms of our governments.” Britain stood for change while the patriots stood for the status quo. A 91-year-old veteran of the Battle of Concord summed things up in a remarkable interview he gave in 1842. “Did you take up arms against intolerable oppressions?” Captain Preston was asked. One can almost hear Tocqueville chortling in his grave. As Palmer pointed out, revolutionary conservatism of this sort was not unique in the late eighteenth century. In the years leading up to 1789, liberal aristocrats in France demanded a return to the balanced constitution of yesteryear when regional parlements controlled by the nobility served as a check on royal authority. In Switzerland, alpine traditionalists demanded a return to cantonal gatherings in which freemen would signal assent by pounding the floor with their spears and halberds. Such elements would soon be overwhelmed by urban radicals calling for specifically new forms of government, but for a variety of reasons the local gentry in America would remain in the ascendant for decades after. Even though the Virginia planters had disgraced themselves during the War of Independence — they had been too worried by slave uprisings to offer resistance to the British — they were still dominant when the “framers” gathered in Philadelphia n 1787 to draft a new constitution. Hence, the aristocratic ideal of constitutional balance proved dominant. Virginians like James Madison wanted a strong central government to keep the states from flying off into the arms of Britain, France, and even Spain. But they did not want one that was so strong that it would threaten local prerogatives. They wanted a government that was centralist but not too centralist, vigorous but not excessively so, forward-looking but at the same time protective of ancient liberties, first and foremost of which was the liberty to own slaves. Years of war and turmoil had upset the old equilibrium, but now the Virginians were determined to put it back. Since it was impossible to simply turn back the clock, the government would have to be new. But it would be a new government dedicated to the restoration of ancient values going back to Plymouth Rock and Tudor England. Instead of straightforwardly embracing progress, the planters, lawyers, and merchants who gathered in Philadelphia would execute a complicated maneuver in which they stepped boldly into the future in order to retreat into the past. Structurally, the document that emerged from the convention adhered to the pattern set by the Declaration of Independence: lofty rationalist rhetoric followed by more down-to-earth sentiments. Where the declaration began with the view “that whenever any form of government becomes destructive … it is the right of the people to alter or to abolish it,” the Constitution opened with a similar blast announcing that “we the people” were organizing a new government in order to enhance what the declaration identified as “safety and happiness” — which is what phrases like “form a more perfect union, establish justice,” etc., essentially meant. Just as the first document failed to address the issue of the lawfulness of American independence, the Constitution skirted the issue as well by failing to acknowledge that Article VII, which declared that the new plan of government would become law when approved by just nine states, was in direct violation of the Articles of Confederation, still the law of the land, which required that any constitutional alteration be approved by all thirteen. Then the new constitution got down to the nitty-gritty by setting forth the powers of Congress, the president, the courts, and so forth. The new government would have the power to coin money, establish weights and measures, and punish counterfeiters, but not to interfere with the slave trade for at least twenty years. Once that was out of the way, the document turned to the question of how it was to be amended. Moments after establishing the people as the omnipotent makers and breakers of constitutions, it announced that they would henceforth be subject to the severest of constraints. Changing so much as a comma in the Constitution would require the approval of two-thirds of each house of Congress plus three-fourths of the states. At the time, Article V meant that just four of the 13 states representing as little as 9.7 percent of the total population would be able to veto any change sought by remainder. Today, it means that thirteen out of the 50 states can do the same even though their share of the population stands at as little as 4.2 percent. (In a couple of decades, it will be down to just 3.9 percent.) Over the course of a few thousand words, the people had gone from being all-powerful to virtually powerless. A gaping contradiction of this sort should have been a weakness, but, paradoxically, turned into a strength. Since the new constitution was the only thing holding the country together, everyone pitched in to impose sense on the senseless. The brightest minds in the land joined in the effort. Furious debates erupted over whether the federal government’s powers were limited, as the list of delineated powers in Article I seemed to suggest, or unlimited as the necessary-and-proper clause (“The Congress shall have power … to make all laws which shall be necessary and proper for carrying into execution the foregoing powers and all other powers vested by this Constitution in the government”) clearly implied. They argued over whether the Second Amendment permits gun control, over the proper boundary between state and federal powers, and over the question of whether the document was to serve as a “living Constitution” i.e. one subject to continuous re-interpretation, or whether the “original intent” of the founders would be determinative. Since the Constitution had given rise to the greatest nation that had ever existed, it simply had to make sense, which meant that such questions had to have a definite answer pro or con. But it ain’t necessarily so. A constitution that describes the people as simultaneously sovereign and non-sovereign is incoherent, which means that meaning is not necessarily to be found. The document thus condemned Americans to argue endlessly over issues that were essentialy unresolvable. Indeterminacy became an instrument of control. Constitutional incoherence condemned politics to incoherence as well. By the nineteenth century, Americans had a great deal to argue about — slavery, urbanization, centralism versus local control, and so on. But instead of debating such matters, they argued mainly about themselves — whether they had the authority to do what they wanted to do, whether they dared exercise their powers in full, etc. It is important to keep in mind that the people did not assert their sovereignty in Philadelphia in 1787. Rather, the founders invoked it. Once they uttering the magic incantation, moreover, they hastened to put the genie back in the bottle by declaring the people all but powerless to alter their own plan of government. Popular sovereignty thus became a one-off affair, a spirit that briefly hovered over the new nation and then went away. The upshot was a form of self-nullification. The instant the people turned on their power, they hastened to switch it off, condemning themselves to a permanent state of schizophrenia in the process. Americans wanted a government that would cater to their needs but feared that it would threaten liberty if it did. They wanted strong communities but not the political mechanisms needed to make them so. They wanted vigorous democracy but were deeply ambivalent as to what democracy might actually mean. They want progress but also a return to traditional values. They thus demonstrate their own powerlessness and incoherence at every turn. They wanted sovereignty except that they didn’t. Democratic politics are crippled as a consequence. The American political system is arguably the worst in the advanced industrial world, i.e. the most corrupt, the most unresponsive, the most punitive and authoritarian. Income polarization is accelerating, the super-rich are increasingly bold in pursuing their own interests, while. economically, millions of working people continue to deteriorate. Yet they are seemingly condemned to stand idly by as their society plunges downhill. The theoreticians tell us that the one thing a sovereign cannot do is put an end to his own sovereignty, but putting an end to the people’s sovereignty is just what the Constitution has succeeded in doing for more than two centuries. This is logically impossible, yet it is a fait accompli. The question is how much longer this absurd state of affairs can continue. This entry was posted in Sovereignty by dhlazare. Bookmark the permalink.